The island of Tenerife is a beautiful emerging piece of land in the middle of the ocean. 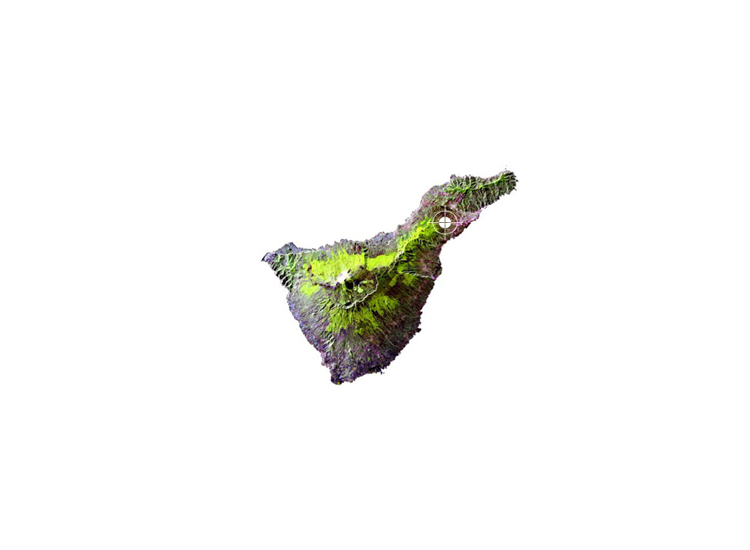 Looking at an aerial photograph of the island allows a better understanding of how this territory is made. The project covers a piece of land already surrounded by massive developments. Politics and developers want to extend the old city of San Cristobal de La Laguna (world heritage) with a new layer of streets, car parkings, malls, office buildings, etc. This development doesn't take into account the diversity of Tenerife nature and mostly its specific topography. 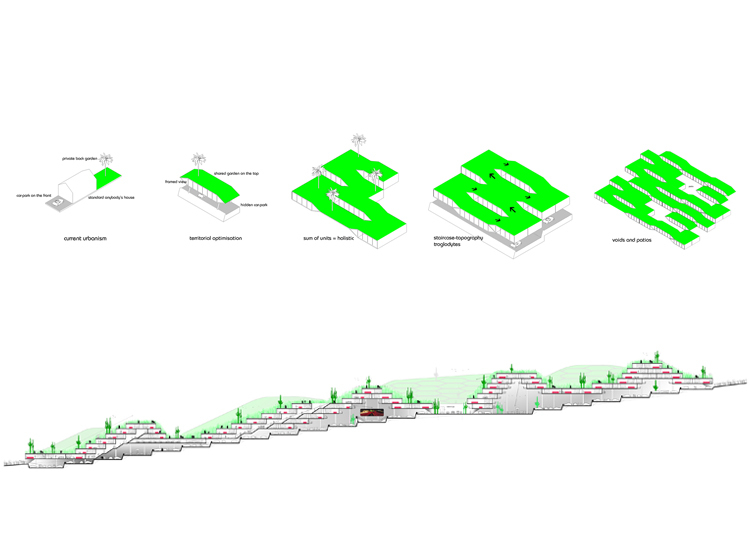 Slope city is another way to consider "urbanism". 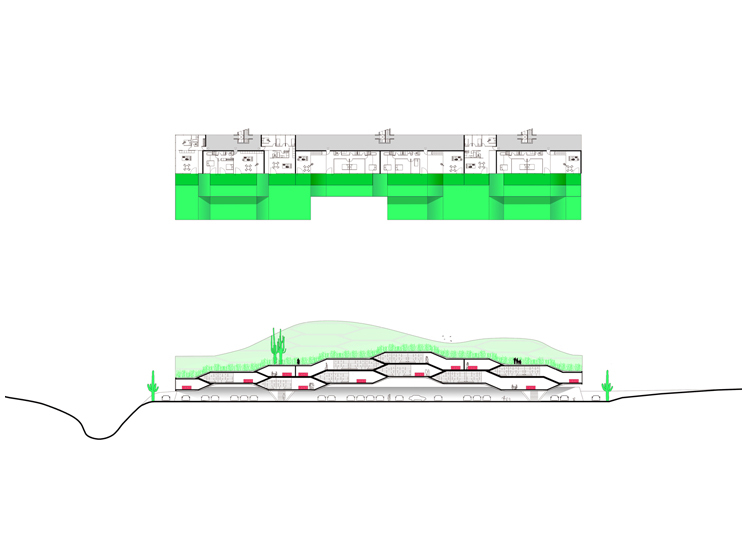 By layering parkings, public spaces, housings and public/ private gardens, the whole site is worked as a unique inhabited piece of land. Housings own their private garden as well as they share a public park. 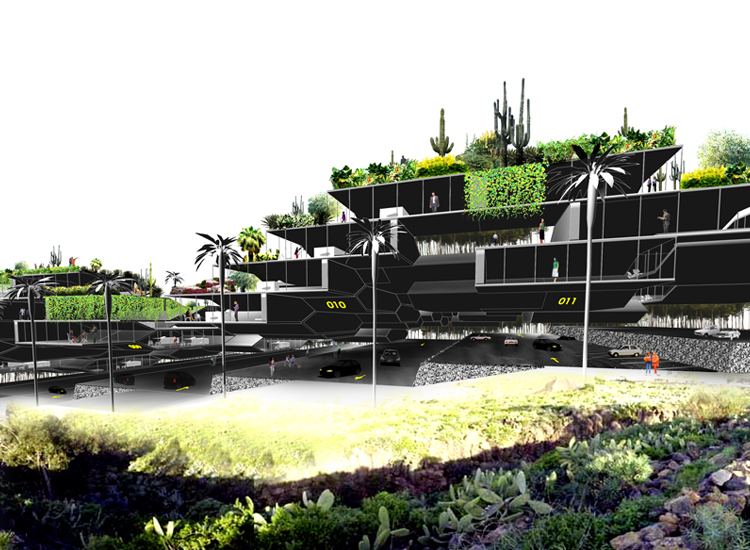 The space under is dedicated to cars and covered public spaces. 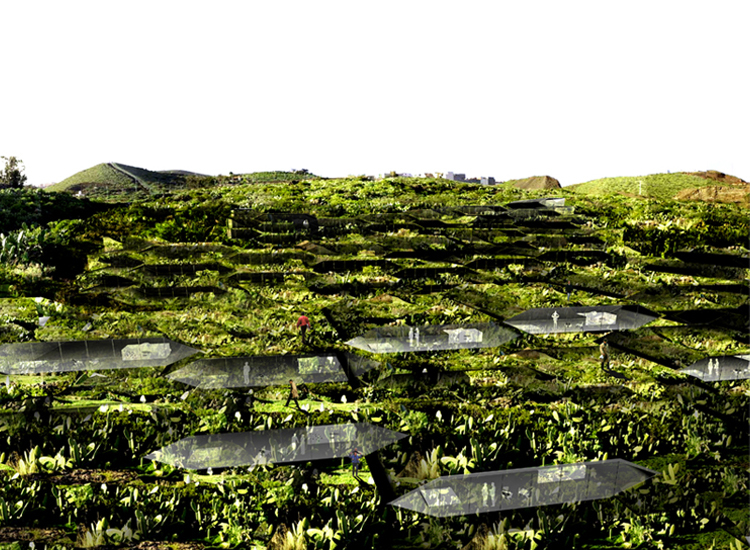 Slope city is a mountain of dwellings, a vegetalised favela with its diverse summits and altitudes. A series of inhabited hills that make reference to the territory around. Windows of the dwellings appear like scars in the evolving ground. The existing ground has been turned into a huge staircase like the rice fields culture. 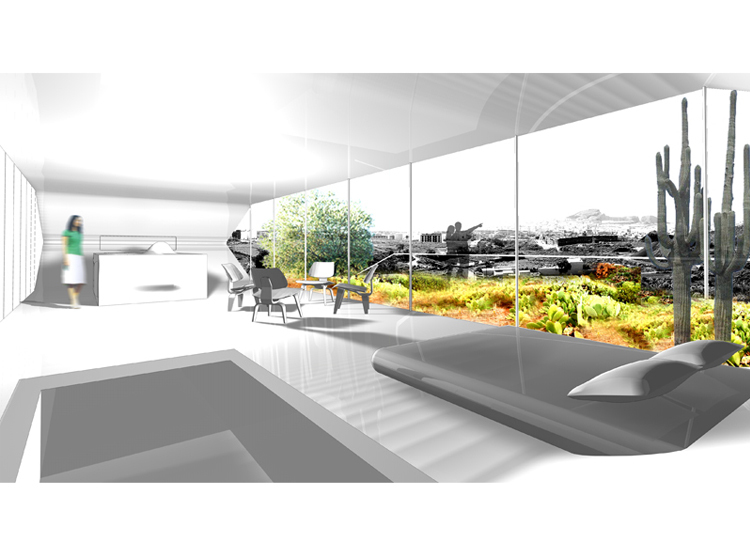 This landscape urbanism underline the existing qualities of a earth, considering that the "ready-there" is a strong potential to make the proposal part of the site.